Chris Langdon returns to the Valley of the Sun for his 25th season as Owner and Director of AGTA. He is certified by the USPTA as a P-1 Tennis Professional and is also a member of the USTA and USRSA. Currently, Chris and his team of professionals serve as teaching instructors for seven resorts in the East Valley. Langdon spent six summers as Director of Tennis in beautiful Belgrade, Maine at the Maine Golf and Tennis Academy as well as a summer at Camp Wekeela in Hartford, Maine. Chris got to work with world class pros such as tennis legend Tony Palafox who was John McEnroe's coach and also worked with Dave Parker who played at UCLA and Thomas Rizk who played in the US Open as a junior. Chris's playing career started in Idaho as he won three State High School Singles Championships. He then played for Boise State University and won three Division 1 NCAA Big Sky Championships. Chris played professionally for a couple of years before being hired by Boise State. He has played some of the best players in the world including Stephan Edberg, David Pate, Butch Waltz, Mike Tammen, Brian Joelson, and he has a win over Andre Agassi. Boise State University hired Chris to be their Head Tennis Coach for both the men's and women's teams where he coached from 1986-1989. Chris has won four USTA National hDoubles Titles and is ready and willing to help you improve your doubles game. Chris was the top-ranked player in Singles at Division 1 Boise State University and can help you with your singles game too. Golf Career started in Boise, Idaho 1980 when Chris studied under Jerry Breaux at Hilcrest CC. His golf teaching skills mix perfectly with all playing Styles. His most popular lessons are of course private lessons for those who really want to improve their game, but he specializes in groups and 3- or 4-and-me lessons too. 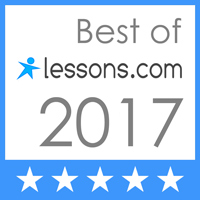 Check out our specials for 4-and-me lessons, as it is our best deal! Call Chris to come out and help you or your team or group with your tennis or golf game, or bring the team to Us for an educational and enjoyable experience! AGTA looks forward to bringing the best in Tennis & Golf instruction to you! Come out to a clinic and see why Chris Langdon and his Arizona Tennis Academy Team is a World Class program! Chris Langdon and Greg Arnold after winning National Fiesta Bowl in the Men's 40 Doubles, December 2008!